ITBP is a border Police Force organization under defence ministry of India. ITBP is stands for : “Indo-Tibetan Boarder Police Force”, which is one of the major defence force of India. ITBP Recruitment department is looking to recruit fresher Indian candidates for various posts of Sub-Inspectors, Head Constables and constables. For recruiting fresher Indian candidates the Recruitment department of ITBP issued an official notification on their official website related to this information. We also come to know about this recruitment process through that notification only. We are sharing this ITBP Recruitment information on the basis of that PDF file only. We also share the reference link at the last of this post under IMPORTANT LINK section. So those who want to know more about this ITBP Recruitment process can check those links. We personally try our best to explain the full detail related to this ITBP Recruitment process. 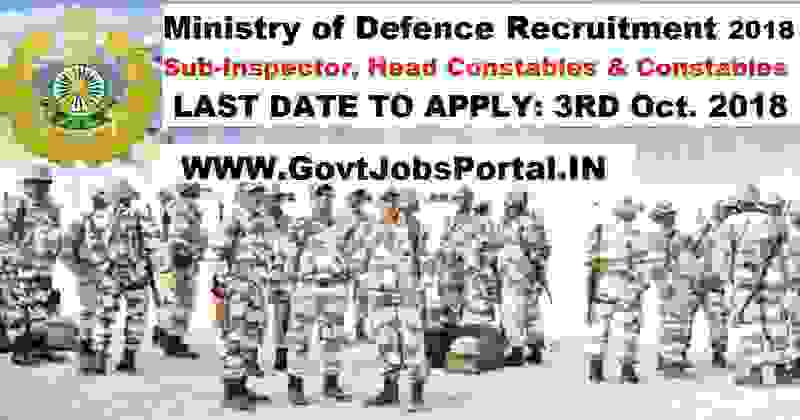 If you read this article carefully till end you will understand the whole idea about these Government jobs in India under Ministry of Defence. What are the various Eligibility Criteria for applying this ITBP Recruitment? Indian candidates who have passes in their bachelor degree under engineering stream from a recognized University. Those who have passed in their 12th class examination in science stream can also apply. Department yet not issued an Official Notification, This is just an informative information Notice by ITBP, they did not mention age limit in it. So wait up to 4th Sept. to know about age criteria. What is the application fee for applying this ITBP Recruitment? Candidates who want to apply for Sub-Inspector posts have to pay Rs.200 as their application fee, While those who wants to apply for Head constable and constable posts have to pay Rs.100. Note: There is not need to pay if you belongs to SC/ST/Ex-Servicemen category. Female candidates need not to pay for applying this ITBP Recruitment process. What is Procedure for applying this ITBP Recruitment? All Indian fresher Indian candidates can apply for these Government jobs in India. 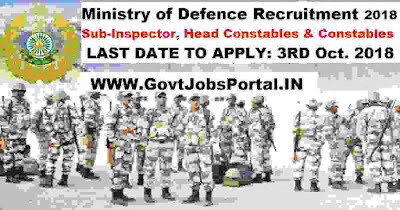 The method which you can use for applying this ITBP Recruitment is ONLINE. There is no other second method for applying these Government jobs in India. ITBP recruitment Department decide to open the link for applying online on 4th of Sept. 2018 and the link will stay activated up to 3rd Oct. 2018. Candidates need to apply online between these dates. 4TH Sept. 2018 is the Opening Date to apply. 3RD Oct. 2018 is the Last Date to apply.